The FN BRG-15 was a heavy machine gun designed by Fabrique Nationale of Belgium as a potential replacement for the .50 caliber Browning M2 heavy machine gun. 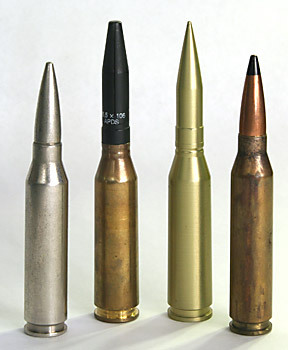 Several 15mm cartridge variants were tried as the project evolved, with the 15.5x106mm round being the last in the series. The project was ultimately cancelled in the early 1990s. 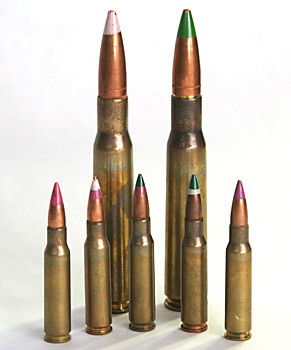 The SCHV program was one of several interrelated projects whose aim was to improve the combat effectiveness of the infantry rifle. 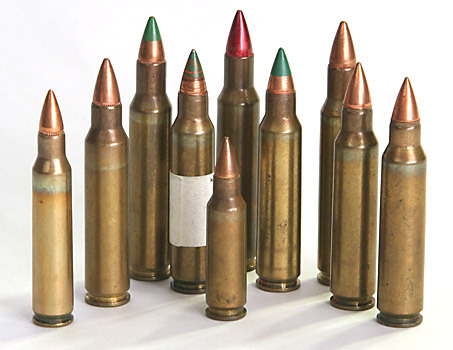 It was thought that a small-caliber, high-velocity cartridge would have a greater hit probability than the current 7.62x51mm NATO rifle round due to its lower recoil and flatter trajectory.